After being seriously injured on the job, the last thing you or your family members need to deal with is a denial of a workers’ compensation claim. If you are facing the denial of benefits or another major problem with a claim, it does not mean that your case is over, and it may be possible to pursue a claim before the Massachusetts Department of Industrial Accidents. At the law firm of Pulgini & Norton, LLP, our attorneys have successfully pursued workers’ compensation claims for numerous clients in Boston and throughout Massachusetts. We represent clients throughout the claims process to ensure that every client receives the benefits that he or she deserves. Our lawyers have more than 40 years of experience handling workers’ comp legal matters. Turn to us at any point in the workers’ compensation process whether you have already been denied or you are applying for the first time. Call us toll free at 781-843-2200. Regardless of the circumstances of your case, an experienced lawyer can do many things to protect your interests and rights while guiding a case through the workers’ compensation process. 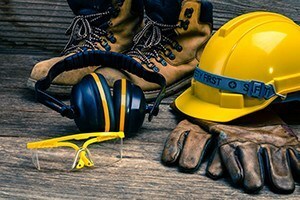 After an injury on the job, contact us to schedule an appointment for an initial consultation and learn more about a denied workers’ compensation claim in Massachusetts. You may e-mail our firm here or call one of our three offices in Braintree, Hyde Park or downtown Boston toll free at 781-843-2200.